Take a 3-qt. slow cooker out and stir the first 5 ingredients together in it. Put a lid on the slow cooker and let it cook on LOW for one hour or until all the cheese has melted (we had to stir our dip around to see if all the cheese had melted). Serve immediately with the chips (and celery sticks if you want). Sprinkle the parsley over the dip if you’re going to use it. 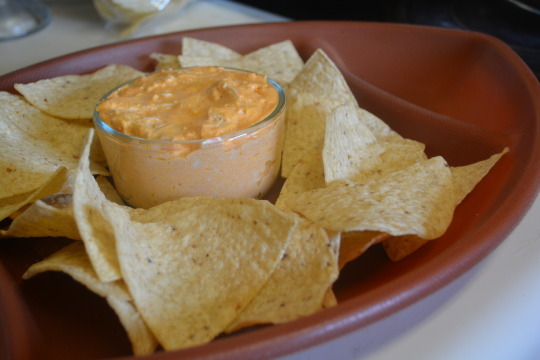 We thought this was a tasty dip. You get the spice of the hot sauce but you don’t really get the heat so we’ll probably increase the amount of hot sauce next time. 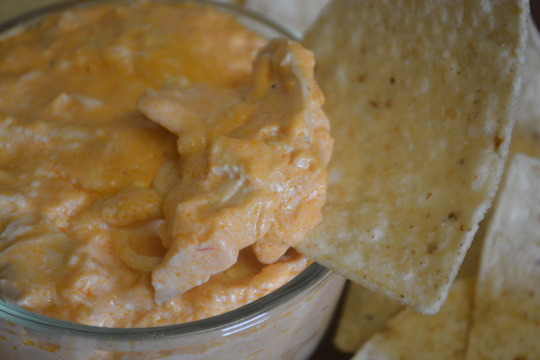 The chicken also adds a different texture to the dip. We got this recipe from a Taste of Home magazine. We weren’t paid in any form to promote Hidden Valley, Frank’s, or Taste of Home.